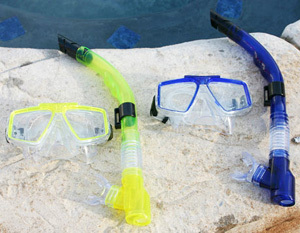 The Caribbean Combo is made from soft and comfortable PVC. The mask is manufactured with a tempered glass faceplate for durability. Latex free.